With this tool you can select cells based on their value, formatting style and other properties. You can for example select all cells between 50 and 250 or all bold cells or all red cells. 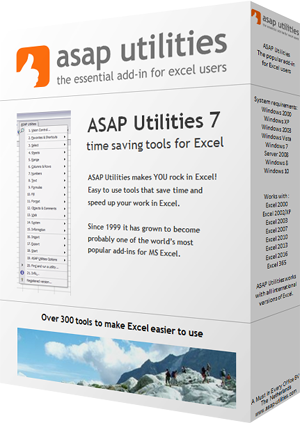 Some people use this utility as an alternative for or addition to Excel's AutoFilter. By default this utility can be used with the shortcut Ctrl+Alt+O. The speed of the utility decreases if the matching cells are in many non-contiguous blocks of cells. The speed can be increased by first sorting your data. You cannot use this utility to select cells on a condition that is set via conditional formatting.